Hello everyone! I have another Friday Mashup challenge to share with you! Take a look at the card I made. 1. Make a project using the "Sketch". 2. 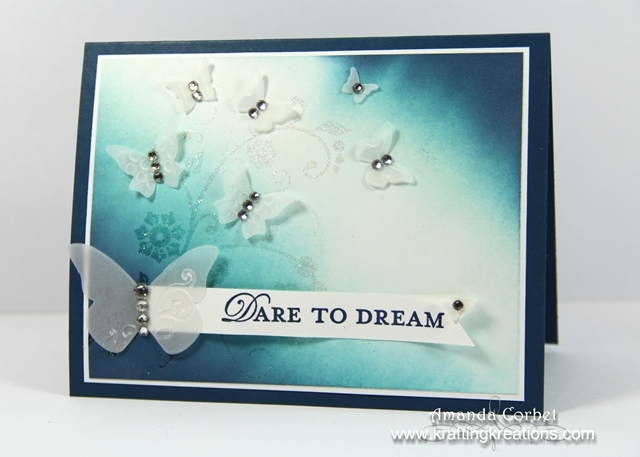 Or Make a project using "Butterflies & Your Brayer". 3. 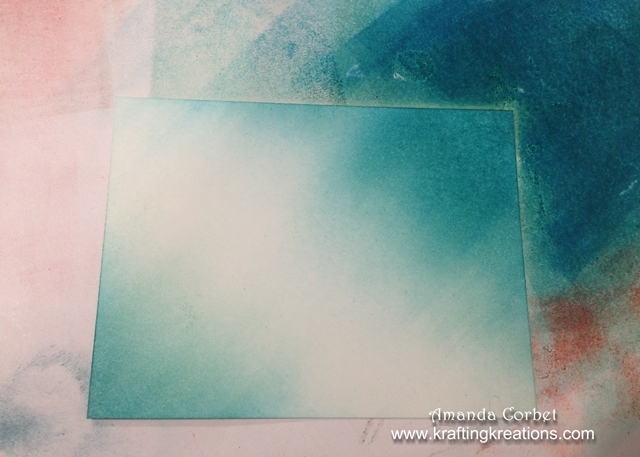 Or "Mash it Up" and create a project with "your Brayer using the Sketch and add some Butterflies". I started off with a piece of Night of Navy card stock cut at 5-1/2" x 8-1/2' and scored it at 4-1/4". 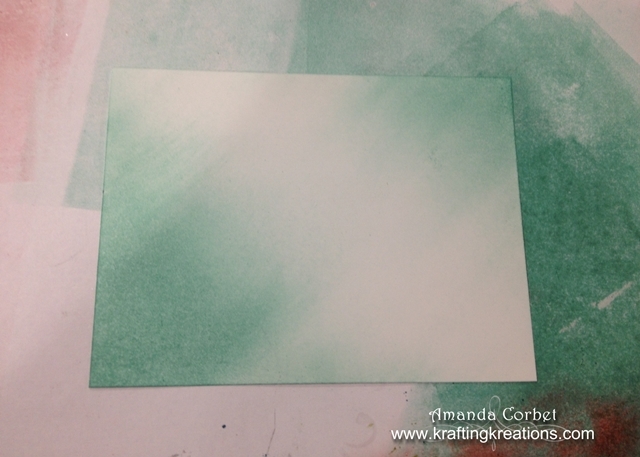 Next I cut a piece of Whisper White card stock 3-3/4" x 5". 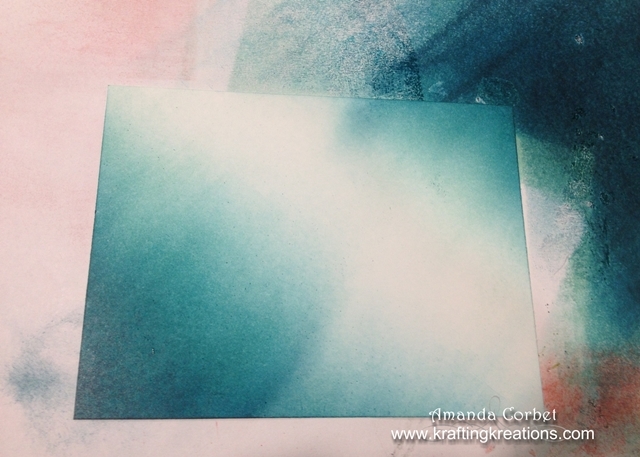 I used my brayer to add Pool Party ink in two opposite corners. Then I brayered on Tempting Turquoise ink not covering the Pool Party entirely. 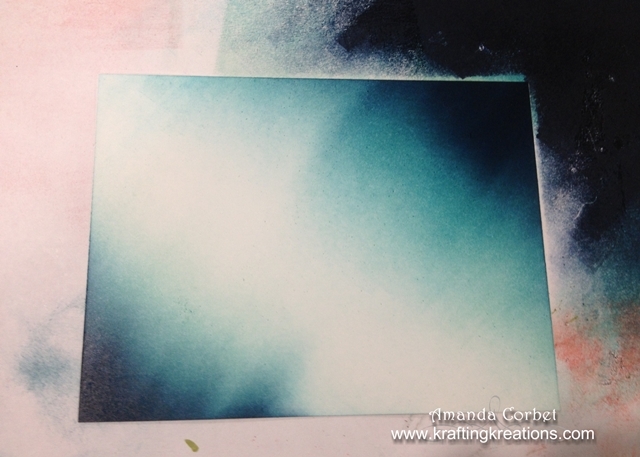 Then I brayered on Midnight Muse ink not covering the Tempting Turquoise ink entirely. Finally I brayered on Night of Navy ink not covering the Midnight Muse ink entirely. 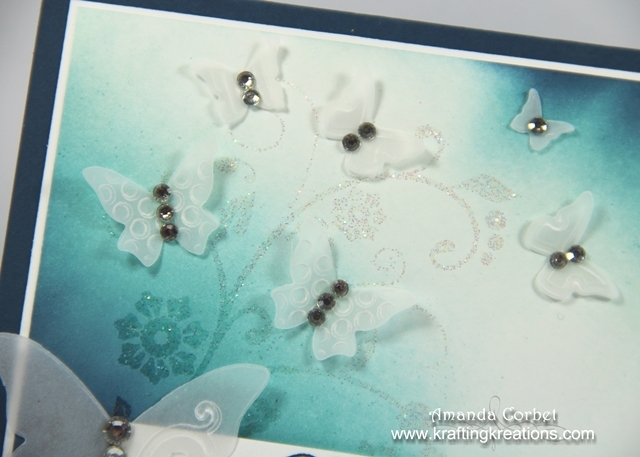 I wanted to add a pretty swirl into the background so I stamped the large swirl from Flowering Flourishes onto the left side of the card stock in Versamark ink. I covered the stamped image with Iridescent Ice embossing powder, tapped of the excess, and heated it with the Heat Tool. Then I adhered this brayered panel onto a 3-7/8" x 5-1/8" piece of Whisper White card stock, then adhered the layer onto the card front. 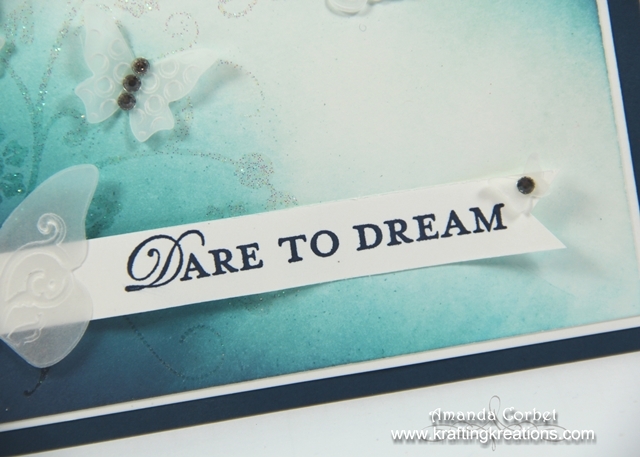 Next I cut a piece of Whisper White card stock 1/2" x 4" and stamped the greeting from Loving Thoughts onto the strip in Night of Navy ink. I used Paper Snips to cut one end into a dove-tail shape. I ran the strip across my bone folder to give it a little bit of wave. 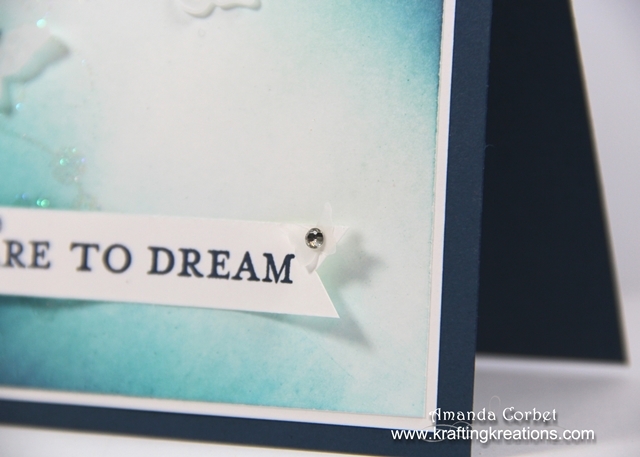 Then I used a combination of Glue Dots and Stampin' Dimensionals to adhere the banner onto the card front. I cut a piece of Vellum card stock 2" x 8-1/2' and ran it through the Big Shot two times in the Beautiful Wings Embosslit to cut out all the vellum butterflies. I added a little line of Crystal Effects in each location that I wanted a butterfly then pressed the butterfly into the glue. I allowed the Crystal Effects to cry completely then added Rhinestones into the center of each butterfly. The largest butterfly was strategically placed to cover up the end of the greeting strip. It's hard to see, but there is also one teeny tiny little butterfly at the end of the greeting banner. This was a really fun challenge. I hope you get a chance to play along. 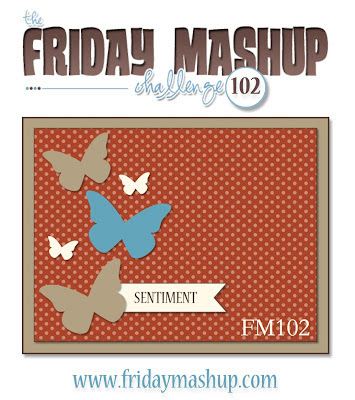 Head on over to the Friday Mashup to see what the rest of the design team has come up with!